Eva Marcille's Ex Kevin McCall Responds to Abuse Allegations: 'I'm Not Perfect' - Integration Through Media ....! 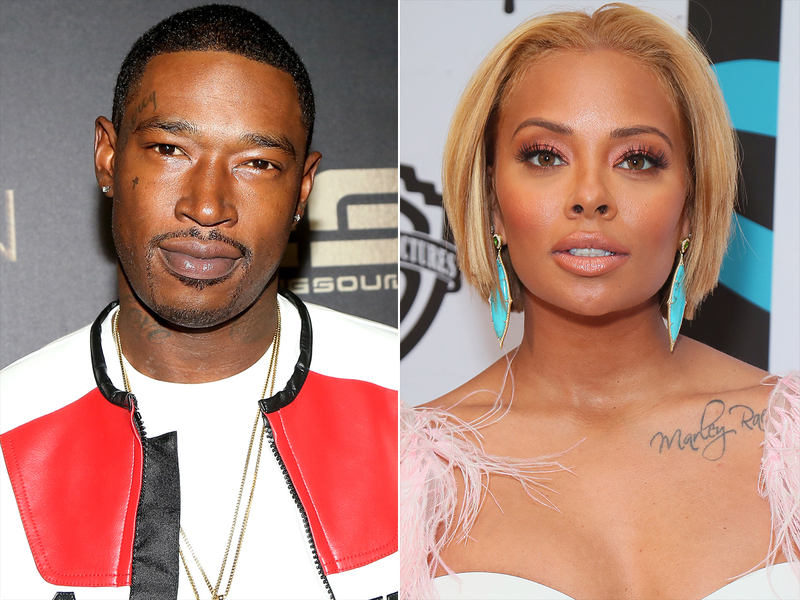 Eva Marcille‘s ex Kevin McCall is responding to abuse claims made by the reality star on Sunday night’s episode of Real Housewives of Atlanta. “Trust me I’m not perfect I had anger issues! I’ve completed anger management to deal with being alienating my children & how to stop playing the victim so that I can control my situation and the overall out come . My entire family misses the girls (have empathy for them atleast),” McCall, 33, tweeted on Monday after a fan questioned whether or not the accusations made by Marcille, 34, are true. Marcille, who split from McCall back in 2015, a year after giving birth to their daughter, Marley Rae — said she’s taken multiple restraining and protective orders out against McCall, for allegedly abusing her. Marcille claimed that she even involved the FBI at one point. She now lives in more than one house to make it harder for the rapper to track her and Marley, 5, down, she said. In response, McCall slammed Marcille for being “obsessed” with him. “It’s sad when she gotta keep using my name for her story line, if I was the husband I would be like ‘Real H— of Atlanta is you out of you mind, or is you still obsessed with your child’s Father? Why is he in our story line so much ain’t I enuff headline for our relationship?” McCall wrote. The rapper also took a jab at Marcille’s new husband Michael Sterling, an Atlanta-based attorney, who previously ran for mayor. “That rent due and ole boy ain’t winning no elections so the money funny,” McCall wrote on Twitter. “Tag me in when yal ready I’ll wait… I can bail the whole family out ‘again’ but pride comes before the fall too much pride and ego (and lies) that’s the worst part the compulsive lying — it’s gross,” McCall tweeted. Marcille seemingly reacted to McCall’s attack on their finances on Instagram Monday. “Form the desk of @mikersterling Everything we got, we earned the hard way. And every day that I wake up, I work for legacy, not labels. Motivational use only,” Marcille captioned a post, which shows Sterling holding her daughter Marley and their baby son Michael Todd while sitting next to his diplomas from Morehouse College and Texas Southern University. Since their split, McCall has been very vocal about his feelings towards Marcille. In November 2017, McCall reportedly disowned his daughter and scrubbed all her pictures from his Instagram account. Just last week, he clapped back at Marcille’s claim that Sterling is Marley’s true father. “Imma just sit this right here. No debate necessary,” he wrote, tweeting a photo of a Google search showing “McCall” as Marley’s last name. Speaking to PEOPLE late last year, Marcille said that she doesn’t have any contact with McCall. If you suspect domestic violence, call the National Domestic Violence Hotline at 1-800-799-7233, or go to thehotline.org. All calls are toll-free and confidential. The hotline is available 24/7 in more than 170 languages.